All the classical ballets were created during an epoch when even on film it was impossible to capture them – and we’re not even speaking about video. So, how does the present generation of choreographers know how a ballet was danced 150 years ago? 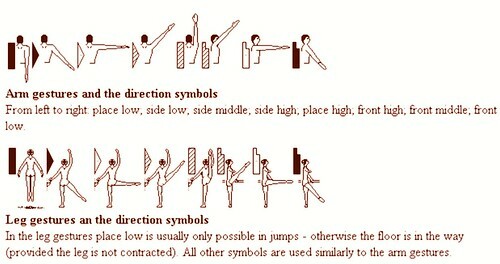 Today the methods most widely used by choreographers are Labanotation and Rudolf Benesh’s system. Historically, Russia has long been involved in the research of a universal system of dance notation. At the end of XIXth century a dancer of the Mariinsky Theater, Vladimir Stepanov, started to use the concept of “choreographic notes”. This made it possible to record on paper all most every detail of a ballet and with the Stepanov system most of repertoire staged by M. Petipa at the Mariinsky Theatre has been written down. After the Russian revolution the Mariinsky Theatre archive was taken out of the country and eventually found a permanent home in the library of Harvard University, which has a collection of research material for the use of specialists in restoring classical ballets. In 1998 Harvard gave the Mariinsky Theatre access to these records (but not permission to publish them) and after a year spent decoding them the ballet loving public could see The Sleeping Beauty in the original version choreographed by the great Petipa. So, if you study the materials that we have provided about Labanotation and get access to the Harvard archive you can try to become a restorer of the great classical ballets and reveal Petipa’s virgin choreography that has been lost to us through numerous restagings featuring so-called authoritative “completions” and “improvements”.